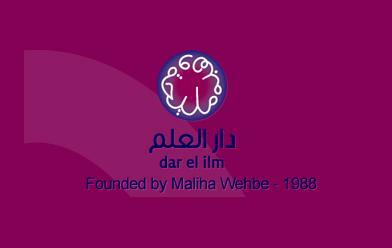 Dar El Ilm is known for providing quality education and opportunities to learn international languages, including Arabic. Their main motive is to arrange classes under the supervision of quality teachers, so that the students can acquire the best knowledge. Usually people do not feel comfortable while communicating with others; in order to remove the confusion and building up a confidence the institution took the initiative to help the citizens of Dubai improve their spoken skills by acquiring command on various languages. If you are a citizen of Dubai and having issues in communicating in an official environment or school then do not get alarmed and take admission in Dar El Ilm’s institute. Classes for French, English, Italian, German and Arabic are taught at Dar El Ilm. Workshops are also organized in order to make learning fun and interesting. Classes for adults and children are arranged separately. From Saturday till Thursday Dar El Ilm schedules language classes; between Sunday and Wednesday the classes take place from 9:00 am to 6:00 pm, whereas on Thursday and Saturday students are requested to come between 9:00 am and 2:00 pm. For a detail view of time table you can Click Here! You can contact the management of Dar El IIm on the number cited below, make sure before paying a visit at the school you have arranged an appointment with the administration. World Trade Centre Hotel 1 is 180 meters away from the Dubai World Trade Center. Route number 27,29, 55 and 61 make a stop here. From the stop, head into the northwest direction on 2nd Za'abeel Rd/D 73. After taking a sharp left turn you will reach at the Dubai World Trade Center building. For a detail view of the map Click Here! From World Trade Centre Metro Station 2 the institute is 600 meters away, you will have to walk for about 8 minutes in order to cover the extent of space between two locations. Head in the northeast direction and take a slight left the last right turn will help you in reaching at your destination.